This is the greatest discovery of the century. So okay, maybe not the greatest, but definitely a discovery. You can eat the leaves of a chilli plant - great news for those who are green fingers and have a lovely plot in the garden where the chill plant flourishes. Although it may not be the most common greens in the western cuisine; even in Asia, where the leaves are eaten, they weren't all that well-known either. When I tried to research about the leaves, there appeared to be an existing urban myth that they are poisonous which I somehow refused to believe. Why then, would they sell them in the shops? Don't they want any returning customers? I wonder. When I bought this from Chinatown recently, I was advised to used it in soup and when I asked about stir frying them, I was met with an immediate shock-horror look on the cashier's face. But being a stubborn me, I decided to go ahead and experiment with a stir fry dish anyway. For my so-called experiment, I wanted to do a simple stir fry dish with this misunderstood ingredient but just to be on the safe side in case it didn't worked out and tasted horrible, I added beef so that at the end of the cooking, there will be something edible from this trial for my supper. The main idea was to taste the leaves so these were all stir fried simply with nothing more than some soy sauce and finished off with a light dash of sesame oil for added fragrant and flavour. 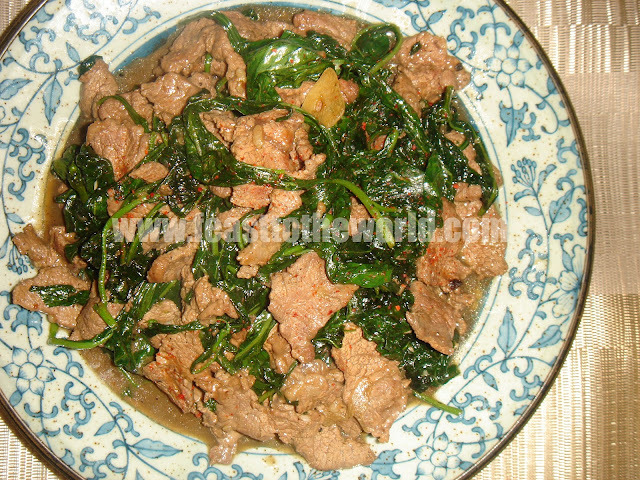 The end result was delicious, the leaves tasted like a cross between spinach and amaranth, rich and irony with a slight hint of the chilli flavour but without the heat. So if you are ever feeling a bit adventurous yourself and wanted to try something different than the usual mundane spinach or spring greens, then give this unsung hero a go. As for the urban myth, well, I am still blogging so hopefully that's a good sign. Combine the beef with the marinade and leave to marinate for 1 hour. Heat the oil in a wok over high heat until smoking. 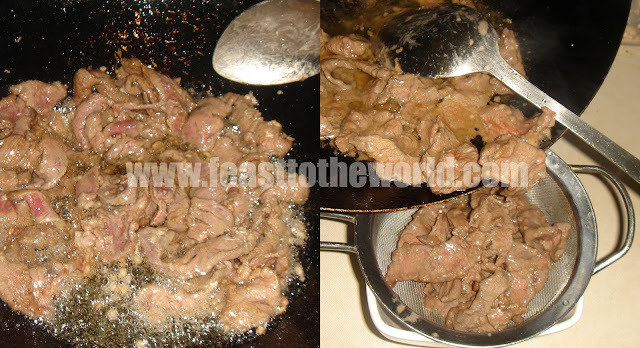 Add the beef and cook for 2 minutes, until golden brown. Remove and drain using a sieve. Pour away all but 1 tablespoon of the oil. Reheat the oil until smoking, add the garlic and stir fry for 30 second, until fragrant. Add the chili leaves and cook for another 30 seconds, until just wilted before returning the beef to the wok. Add the soy sauce and sugar and toss to coat the beef and the greens with the sauce. Serves immediately with some steamed rice. good one j! I'm always trying to encourage people to eat the whole plant, eg my radishes with pesto made out of its leaves, because it just makes so much more sense not to waste any part of the plant. 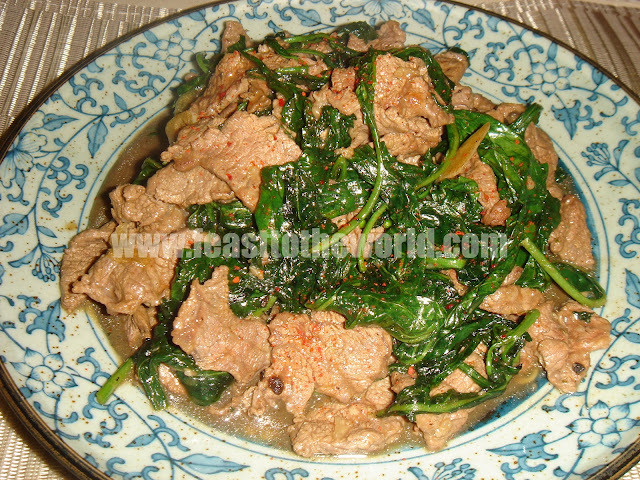 I haven't tried chilli leaves before, and it's stupid because back home in Singapore, we grow chillies, so it's great to know that they taste like spinach with a chilli flavour, sounds just awesome with beef! Thanks Shuhan. I do agree with you about not wasting any food especially if they are edible. The chilli leave were delicious and I will definitely be cooking with them again. 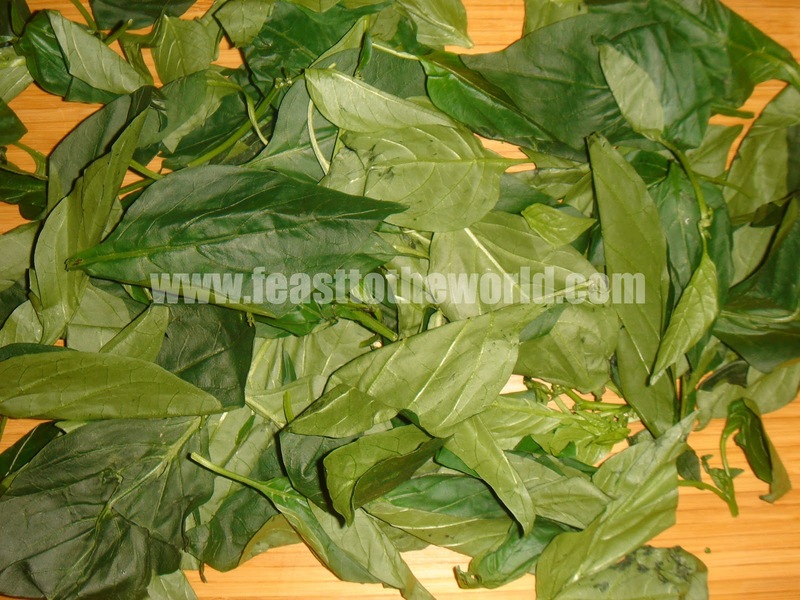 Who knew that you could eat chilli leaves?! This is brilliant! Great ideas thanks. .I also have a flourishing chilli plant and I make a pesto with the leaves stacked rolled and finely sliced..slithered almonds..fresh garlic pounded one chill. .and finished with your oil of choice. ..good with poached eggs. Im a Filipino and my father used to make chicken tinola with chilli leaves when i was younger,it was part of my growing up and it was really good but i never tried this kind of recipe,now that im in the US,its hard to get chilli leaves from a regular store so my husband built me a greenhouse where we can grow our own chili and moringa...i would love to try this recipe. Thanks for sharing.